We are a leading Manufacturer of curve bar expander roller and expander roller from Ahmedabad, India. 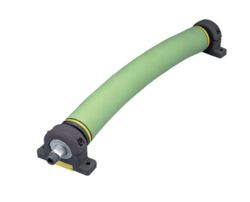 Driven by technically advanced facilities at our ultra-modern manufacturing unit, we are presenting a wide variety of Curve Bar Expander Roll. 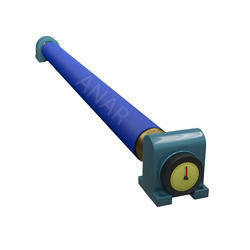 This expander roll is checked on various quality measures in order to supply a perfect range. Our provided expander roll is designed utilizing top notch material & leading techniques in adherence with the standards of industry. We offer this expander roll in assorted specifications for our customers as per their needs. Expander Roller that also known as Banana Rollers or Bow Roller. These rollers are produced using best quality rubber as well the most advanced technology that is available in various diameters & length. We provide it to our customers with gear box & polymer sleeve with surface grinding along with mounting brackets with it that can be whichever foot mounted or wall mounted as per clients requirement. It is mainly useful to remove wrinkles from various materials in industries. Our products are proved best in performance and the longer toughness in National as well as International market.